Notices of Allotment will be dispatched by post to all successful applicants on or before 26th April 2011. 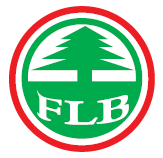 Focus Lumber Berhad is expected to be listed on the Main Market of Bursa Malaysia on 28th April 2011 under stock name “FLBHD”. Details information are available in Bursa Malaysia webpage.